I am the fussiest person when it comes to what foundation I use because of all the factors that go into consideration. I ask my self questions like What will it look like on my skin? How will it feel? Will it react? 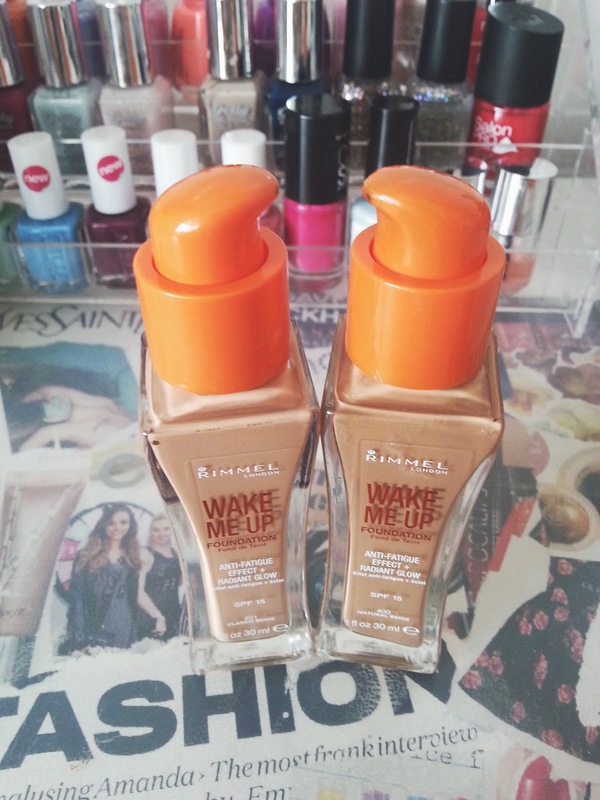 and the list goes on and on, but I finally think I have found my perfect match because this foundation from Rimmel is great for everyday and the night and feels like there is nothing on my skin! When I was reading reviews about the foundation it was all very mixed as some people loved it but others hated it because of the shimmer but that really doesn't bother me! The first thing that caught my eye in Superdrug was the packaging and how brightly coloured it was! I mean if orange wasn't a better colour to catch your eye what would be, the glass bottle really appeals to me as well because it think that it makes me look after it a little more. It may become a problem when I'm travelling but because I have to mix two colours together I could put it into a little bottle. The pump is also amazing, I hate things with no pump because it gets really messy. So, I bought the shade on the left at first because I thought this would be perfect but then I had to go back and buy a shade darker because the light one was too white on my skin tone. Mixed well on the back of my hand it makes my perfect shade and that has never happened to me! 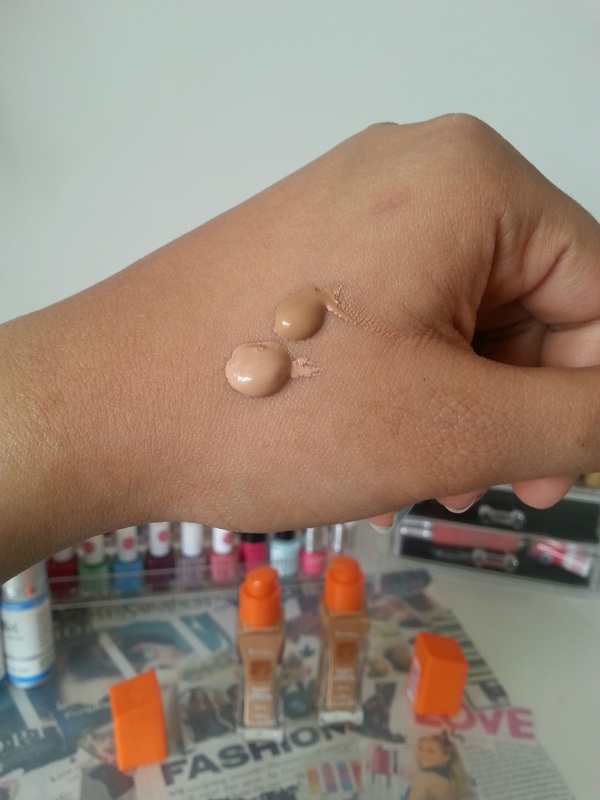 The consistency of the foundation is very thick but thin as well as it is bendable and easy to apply. Coverage is medium but I find you can build it up to give you a flawless finish. I never knew exactly what a dewy look was, until using this I love the way dewy skin looks and feels! Would I repurchase? YES!! Have you tried the Wake Me Up?! Thats such a shame, I have a hard time finding matches as well! 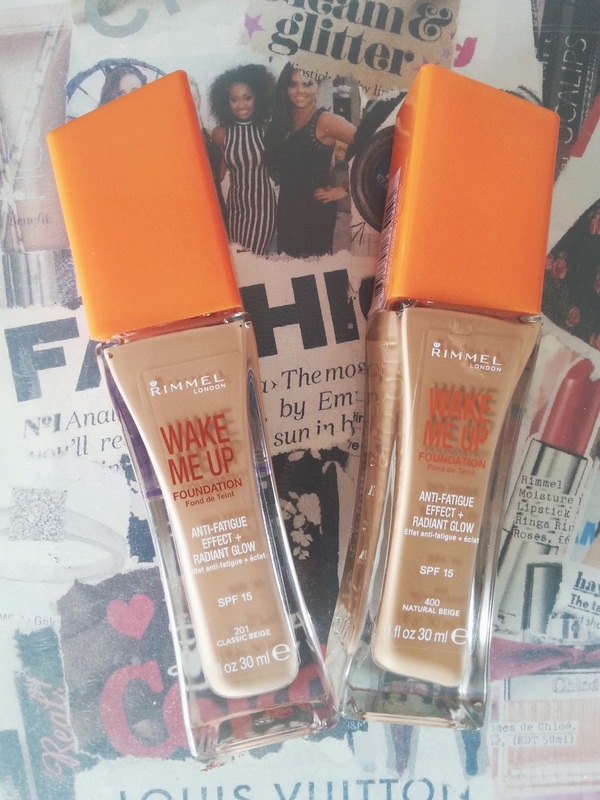 I love the Wake Me Up - have you tried the concealer - it's just as good.